Attorney Travis Keil answers questions about what to do if you come into contact with law enforcement as a suspect. Welcome to our Ask the Expert series, in which our panel of health, justice, and education experts answer your questions related to Fetal Alcohol Spectrum Disorders (FASD). Here, attorney Travis Keil discusses important considerations for individuals that come into contact with law enforcement as a suspect. Got a question of your own? Email ruth@mofas.org. 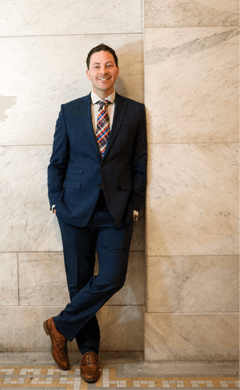 About the Expert: Travis Keil is a Minnesota criminal defense attorney and founder of Keil Defense. Travis has represented over 1,000 clients charged with criminal offenses and has extensive experience working with expert witnesses to gather evidence to be used at trial. For example, he has worked with experts in the areas of cell phone and computer forensics, eyewitness identification and, medical analysis, which have contributed to successful defense strategies. He has a lengthy list of successful results with a trial success rate of over 80%. There are unique challenges associated with FASD that can be risk factors for coming into contact with the criminal justice system. What are some considerations for individuals with an FASD that come into contact with law enforcement as a suspect? When should you talk with law enforcement? Should you disclose an FASD? Are there special considerations for youth being questioned? If you are a suspect in a case you should contact a lawyer to discuss your situation if you are suspected of committing a crime. Talking to law enforcement without first speaking to a lawyer can have severe consequences. It is important to remember that anything you say to law enforcement may be used against you in court. It happens frequently where individuals think that their statement will exonerate them or that they have nothing to hide. However, they do not realize that what you say can be used by the prosecutor to help build its case against you even if there is no admission made. For example, prosecutors will use inconsistencies with your statement compared to other witness statements or evidence to convict you. There will be no adverse consequences to you if you assert your right to remain silent by informing law enforcement that you wish to speak with a lawyer prior to giving any statement. Law enforcement should be notified that you have FASD. Your lawyer would inform law enforcement and the prosecutor as that is an important fact for all parties to know. You should never speak to law enforcement without first consulting with an attorney. A parent should be allowed to be present while your child is being questioned by law enforcement. There is no absolute right for a parent to be present. A child must request the presence of the parent during questioning. Law enforcement and the prosecutor may have that statement suppressed because of Miranda issues if a parent is not present during questioning where the minor child request the parent to be present. Ask the Expert: To Diagnose or Not. What’s the Benefit of an FASD Diagnosis?